We announced our partnership with INSPO. We profiled John Slattery, INSPO founder, so next we thought it would be a good idea to share INSPO’s work with us. Our latest blog gives an insight into what we’ve done together so far. John kindly wrote it for us, and the challenge set for him was to describe it in less than 500 words! So, did he manage it? (And we’re not counting the Barden quotes!!!). 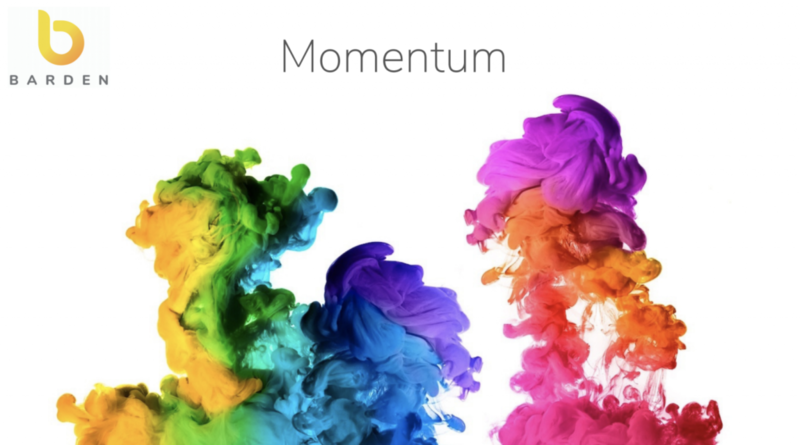 I’d describe Barden as a momentum business. It’s been growing since day 1. It continues to do so. Any session I’ve done with the team has been about supporting that momentum. When the volume of work was ramping up in early 2018 it made sense to do a session with the team on resilience. When the growth continued in the team size, e-mail correspondence, clients secured, placements made, meeting numbers and futures changed, it made sense to do a session later in 2018 on maintaining focus every day. Every session is unique, intuitive and designed based on the needs of the team, at that moment in time. They’re built around recognising where the team is and how the session can help facilitate the next level of ‘Barden Momentum’. There’s always going to be some element of ‘telling’ in a 1-1 or group session. And the sessions I deliver for Barden are no exception. However, through the years I’ve learned that any session, individual or group, with the Barden team should focus on and be about empowering the individual or people in the room. Why? Well because a big factor behind the ‘Barden Momentum’ is the collective and individual drive that exists in the team. There’s no benefit in me being in ‘telling’ mode beyond the absolute necessity (it’s not particularly enjoyable in any case!). So, it means the Barden sessions, be they 1-1 or with the wider team, very often focus on asking questions. The answers, the right ideas nearly always already exist in the room. Therefore, I know that if I can offer good thought-provoking questions, they can be the catalyst for this wonderfully driven team to tap into their own brilliant ideas or equally, their own brilliant experience to uncover the next way forward, the next level of ‘Barden momentum’. If you deal with Barden, you’ll know this. They have an inner spirit that drives them. They have a desire to do recruitment differently, to challenge the status quo and change the perception of recruitment. And they are good fun to spend time with! So, while every session has a serious objective to help the team continuously be the best that they can be for themselves and the people they serve, the session is always delivered in a light fashion i.e., we have a bit of fun along the way! Designing and delivering them this way is paramount to their success. It’s in-keeping with the ‘Barden Way’. And I think it’s a big reason why these sessions work for the team. I hope I’ve done a good job at explaining the work I’ve been doing with the Barden Team! If you’d like to hear more about this work feel free to contact Ed Heffernan in Barden, or myself John Slattery at john@inspo.ie. Read about Barden and INSPO’s partnership here. **There’s an aspect of how Barden and I work together that I would really like to share. Especially for any reader from a company who uses external providers. Barden have from day one done a great job of making me feel like more than a provider of a service. They’ve made me feel like part of the team. It automatically has made me want to always to do more for them in return. For any company using external providers, especially those providers who work independently, I’d really encourage you to do the same to get the most from the relationship. It’s makes for a ‘win win’ scenario!